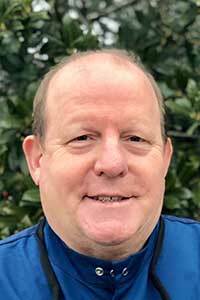 Dr David M. H. Lambert joined Riccobene Associates Family Dentistry after returning to North Carolina from a 3 year hiatus – most recently from the north shore of Massachusetts culminating 18 years of private practice experience. Recently, Dr Lambert was recruited into an academic position where he was assistant professor in the Department of Oral & Maxillofacial Surgery at Oregon Health & Sciences University holding appointments both within OHSU Hospitals and the School of Dentistry. During his 2 year tenure at OHSU, he acted as graduate and pre-doctoral implant director for the OMS department helping to develop guided surgery and CAD/CAM protocols. Dr. Lambert was board certified in 2003 and completed re-certification in 2013. He holds a Bachelor of Science degree in Pharmacy from the University of Michigan, and a dental degree from the University of North Carolina at Chapel Hill. He received a teaching fellowship in oral and maxillofacial surgery at the Ohio State University and completed his residency training at the University of Maryland Medical Systems and the R. Adams Cowley Shock Trauma Center in Baltimore, MD. Following residency, Dr. Lambert entered community private practice in Chapel Hill, NC from 1998 – 2014. He was recruited to OHSU to join the clinical faculty while pursuing an advanced degree in clinical informatics. Dr Lambert has previously practiced both clinical pharmacy and general dentistry in the past. Dr. Lambert’s interests include implant surgically related reconstruction – including guided surgery & CAD/CAM processes with utilization of 3D printing technology, cranio-maxillofacial trauma, TMJ, anesthesia, pharmacology, dento-alveolar surgery, and clinical informatics.